You gotta hand it to the Belgians. First the saxophone, then the Smurfs and now the airy nirvana of the pancake puff. 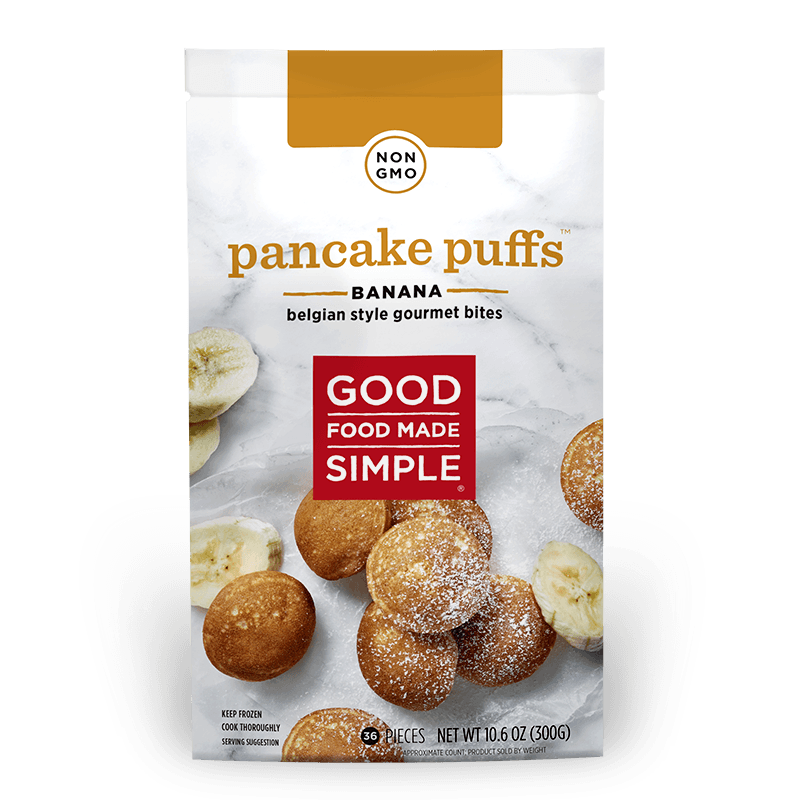 Our banana puffs use the same simple ingredients as our Original Puffs, but with the addition of mashed bananas for added natural sweetness. Unbleached wheat flour, eggs, palm oil, sugar, water, whey powder, dried banana, baking powder (sodium bicarbonate, monocalcium phosphate), salt, citric acid, natural banana flavors. Simple, clean, non-GMO ingredients. Nothing more. Pancakes, puffs and waffles, ready in seconds, makes your mornings healthier... and easier. Tastes like mama slaved in the kitchen for hours, but ready in seconds. Go on — ditch the apron. By using only a handful of top notch, fresh-from-the-farm ingredients, we let nature's flavors shine. You don’t need to fly to Belgium for these artisan breakfast staples. Crisp on the outside and light as a feather on the inside. They’re just short of sublime.